It was a magical, memorable evening on so many levels. An evening with friends, family and well wishers who made the book launch so special. This book is the culmination of our family’s journey, with eczema as our travelling companion. I am blessed to have my family supporting and encouraging me in writing this book with my daughter as my inspiration. We have received numerous congratulatory messages and wishes since yesterday from friends, family , acquaintances and other well wishers. Our hearts have swelled with pride and joy at all the love that you have shown us and this book so far and this is only the beginning! My family and I have learned that in order to move ahead it is sometimes essential and wise to let go of things we tend to cling to. We often cling to painful experiences, grudges, mistakes and other negative emotions which tend to hold us back. They hold us back from new experiences, new memories and a peaceful and content life. This realisation has helped us to put our painful experiences behind us, learn from them and look ahead. I am happy to say that this is a new chapter in our lives especially in mine as I embark on my second profession in the health and wellness industry as a certified Health Coach in the next few months. I would have certainly not foreseen the changes that I have had to make and and the path that these changes have led me to. All I can say is that by keeping an open mind and embracing all that life has to offer has helped us more than we would have ever thought. My book is available on amazon at http://www.amazon.in/dp/8192006492 and on flipkart at http://www.flipkart.com/have-eczema-so-what-english/p/itmeg26ntvykxzbu?pid=9788192006499. Thank you for being a part of this change! Thank you for your support! I had mentioned in my last post that I was writing a book for children suffering from eczema. This is in conjunction with my daughter’s dermatologist, Dr Amrita Talwar who is a coauthor of this book. Both Dr Talwar and I realised the need for a book which is meant for children who have eczema since there are hardly any resources for them even though there are many for adults. The book is written through the eyes of a 9 year old girl called Maya who suffers from eczema. She has to deal with various issues like the physical discomfort and pain of living with eczema, social and schooling problems like isolation and teasing, emotional upheavals and even stress. This book would first and foremost help children to understand and learn about eczema in a child appropriate manner. Maya’s family rallies around her and ultimately as a team they manage to help her cope with eczema. Maya and her family are thus able to make eczema a part of their lives so that it does not completely overshadow everything else. It is a book for families as much as it is for children suffering from eczema. “I have eczema…so what?” is ultimately a story of courage, love, teamwork and the strength that comes from within by being a part of a loving and supportive family. It is based on our experiences of dealing with our daughter’s severe eczema, her trials and tribulations and the strategies that we developed over the years to deal with it. For those of you who have been following my blog will know how far we have come since I first started writing. It all started right here, with this very blog. This is where I honed my skills and which has now culminated into my first book. However, the book is a result of teamwork as is usually the case. I am blessed to have Dr Amrita Talwar as my coauthor and mentor for this book, Ms Preeti Vyas (Fun Ok Please) as my publisher and Ms Shraddha (Happy Fish) as my illustrator. Amrita has also played a key role as the person who encouraged me to write about our experiences in the first place starting with this blog. Thank you Amrita for always encouraging and believing in me! My inspiration is of course my 9 year old daughter who faces her situation every day with a smile on her face, manages to get up every time she falls and shows us the what true courage and grit is all about. My husband, my 5 year old son, my mother and our immediate family have all played their critical and immensely supportive roles in enabling us to deal with eczema as a team. This book is a result of this support as I have drawn my own strength from my family and friends. In fact, I have not only been able to act as a primary caregiver to my daughter but I have also found the courage to share our experiences through my blog posts, articles and now this book. Words are really not enough to express my gratitude…but I need to say them anyway, so a big THANK YOU! I have written briefly about Functional Medicine earlier in my posts. I have also mentioned how I have gradually moved towards it over the past couple of years through my research to find a less harmful way of managing my daughter’s extremely severe eczema. I have shown her to a Functional Medicine practitioner in London this past July and got some tests done to determine her Gut Health. The tests show that she indeed has a “leaky gut” or “intestinal permeability” issue. But before I get to that, in this post I would like to cover Functional Medicine and Gut Health in much more details and why we should all know more about it. (Of course just to be clear, I write as a parent who is trying out a Functional Medicine approach for her child and not as an expert or health professional). We are all used to wearing clothes which fit us well and pay a premium if we need to for clothes which are customized for our body shape and size. But when it comes to health, we are used to an approach which is just the opposite. It is a “one size fits all” approach! This has worked well in the past when we were dealing with infectious diseases like chicken pox, measles, cholera, small pox and others which have been brought under control which much-needed antibiotics and antifungal medicines. But a lot of the medical issues that we are facing today are due to not only our genetic predisposition, environment but also our lifestyle choices (food habits, diet and exercise) and stress. Hence, most of the times we do not realise that a lot of our chronic medical problems (autoimmune disorders like rheumatoid arthritis, coeliac disease, Grave’ disease and others like migraines, digestion issues, allergies, psoriasis etc) cannot be wished away by just popping a pill. We will need to look beyond pills to deal with most chronic conditions. Luckily for us, there is an entire stream of medicine which is geared to do just that. Functional Medicine is an approach which is different from the conventional way that we use to deal with any kind of illness currently. Conventional medicine is of course necessary for dealing with acute illnesses which require immediate intervention either through medication or through surgery. So one needs to be very clear whether the health issue is an acute illness or a chronic one. Also, while conventional medicine focuses on symptom relief, Functional Medicine addresses the root cause of a problem. It has a patient centric approach that tries to find the root cause of any illness or condition by looking at each patient differently based on his/her lifestyle choices, food and dietary habit, genetic and environmental factors and other psychological factors like stress which has a tremendous bearing on a person’s well-being. Functional Medicine is also science based and combines conventional medicine with a holistic approach by adding diet, supplements and stress management techniques etc which are not usually used in conventional medicine treatments. What is also important that it uses scientific methods like laboratory testing and latest diagnostic techniques to find out the root cause of any illness. Functional Medicine thus provides tools for the patient and the practitioner to customise and design a health management programme for each individual which is geared up to create health and not just to banish illness. Here I would like to mention briefly about our traditional treatment philosophy which is also patient centric and holistic in its approach towards diseases. In India, we have a tradition of healthcare called Ayurveda which translated in English literally means the “science of Life”. It focuses on how to prevent illness and how to address the root cause if it happens and is one of the earliest holistic treatments known to man. In that sense Ayurveda has a lot in common with Functional Medicine. But with the progress of Western medicine it has taken a kind of backseat in India over the years. (I have written about our experience with Ayurveda in my earlier post- https://eczema-anindianperspective.com/2014/08/25/our-tryst-with-ayurveda-and-our-first-eczema-support-group-meeting-in-mumbai/). Ayurvedic treatments are based on the principles of wholeness and balance. That is why the mind, body, spirit, emotional balance of a person as well as diet, lifestyle, stress is considered to be as important for treatment if not more than the actual medicine. It emphasises on treating the cause and not just the symptoms and hence looks to preserve a person’s well being and not just treat him. Unfortunately, due to various reasons (which is beyond the scope of this blog) ayurveda has come to relegated as an “alternative” medicine. This was all the more so due to a revolution in the history of medicine brought about by the discovery of antibiotics in the 20th century which has saved countless lives. But today we face a very different challenge which may need to be tackled quite differently. As we all know the use of antibiotics has helped saved millions of lives since its discovery and has even helped eradicate diseases like smallpox etc. This new era of medicine honed its skills in targeting a particular agent which caused an infectious disease and then evolved to treat a particular symptom caused by a disease. This is the current approach of medicine towards all illnesses. But while acute medical issues have been dealt with very well by conventional medicine, chronic and lifestyle related issues are not faring as well. And the incidence of chronic illnesses are increasing exponentially led by the USA and followed by other countries all around the world. A chronic illness also does not go away on its own, indeed grows worse over time and usually has multiple causes. The medications usually only treat the symptoms which make recurring episodes a regular feature. This means leading a life visiting doctors, popping pills and putting up with many symptoms. This is even more problematic since ironically we are living longer lives than our previous generations. Also a myth that has been associated with chronic diseases and developing countries like ours is that chronic diseases affect only the elderly and wealthy parts of a society and is prevalent primarily in developed countries. That notion no longer holds any truth. This problem is all the more compounded when you add in the economic costs associated with the growing burden of chronic noncommunicable diseases. We now not only have to deal with the rising healthcare costs associated with chronic illnesses over long periods of time, we also have to factor in the loss in income due to same. In India, the incidence of Type 2 diabetes is steadily reaching epic proportions especially in the urban areas. Autoimmune disorders like Rheumatoid Arthritis, eczema and others like heart diseases, migraines etc are also on the rise. Functional Medicine recognises that though the symptoms may be similar in two different individuals, the medical approach required to deal with them will usually be radically different. This is due to the fact that while the manifestations of the disease is similar in both individuals, the genetic makeup of both are different, environmental factors like exposure to toxins are different and their lifestyles will also be completely different. In this post I am focussing on one major aspect of Functional Medicine which is being recognised as the root cause of most chronic conditions including autoimmune diseases. That aspect is our “gut health” (or lack of). The others include genetic predisposition, lifestyle and environmental factors concerning each individual. We are slowly coming around to this very important fact that our microbiome (or the many thousands of types of bacteria and other microorganisms which reside in our gut or intestines) determines our health and causes many autoimmune and other disorders when compromised. We carry about 2 kilograms of these microbes in our gut consisting of roughly tens of trillions in numbers and a part of the microbiome is unique to each of us. Our gut system becomes off-balance and our health suffers when there is too much of harmful, pathogenic microorganisms like bad bacteria, yeast and parasites and too less of the health promoting bacteria. As mentioned earlier, this leads to chronic illnesses which are far more serious than just indigestion and heartburn. Another serious issue which can crop up due to poor gut health is intestinal permeability or leaky gut syndrome. 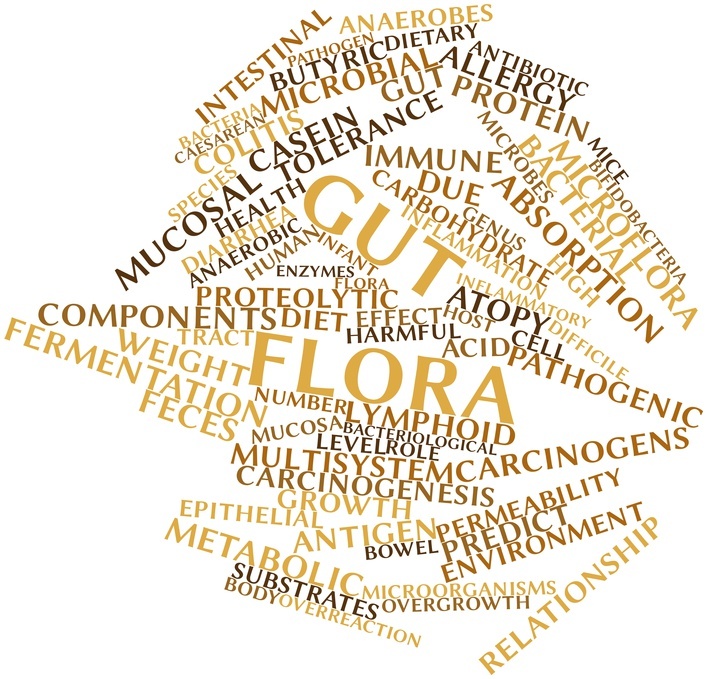 The lining of the gut acts as a barrier by containing the undigested food, toxic wastes and harmful microbes and filtering out only the required nutrients after breaking down the food into vitamins and minerals. This incredibly useful gut immune system may develop tiny gaps in the intestinal wall and allow leakage of undigested food particles, microbes and metabolic wastes which the body would then recognise as foreign invaders. 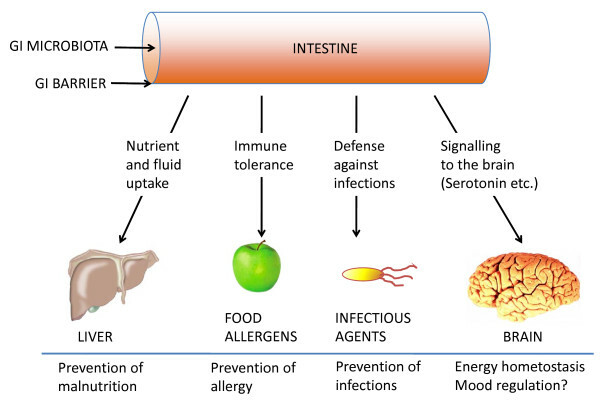 This is called the leaky gut syndrome and can cause one to become allergic to all kinds of foods since the immune system starts defending the body against what it perceives to be foreign invaders. The hyperactive immune system if left untreated over prolonged periods of time can create inflammation and may eventually manifest itself in the form of various chronic conditions. Depending on the symptoms the illness is then classified as digestive disorders like Irritable Bowel Syndrome; migraines, chronic fatigue, arthritis, eczema and other autoimmune conditions. How is Functional Medicine really useful? Given this backdrop Functional Medicine is poised to play an important role. By customising medical care based on the individual and not the symptoms of the illness, Functional Medicine is concerned with the problems afflicting the various organs and systems inside the body. As mentioned earlier it our intestinal (or gut) health which determines which nutrients are absorbed by our bodies and which toxins, mircobes and irritants are expelled. If anything happens to disturb this balance and affect our gut health adversely, it affects our health in myriad ways. (I have briefly touched upon this topic in my earlier post- https://eczema-anindianperspective.com/2015/06/12/not-all-those-who-wander-are-lost-eczema-and-our-ongoing-journey/). Functional Medicine focuses on this very important aspect of our health by trying to heal the gut health first and foremost in tackling chronic illnesses and autoimmune conditions. Functional Medicine also advocates the 4 R programme which acts as a framework based upon which we can make changes to improve and repair our gut health. 3. Reinoculate- this step is all about restoring the balance of good bacteria in the gut microflora.This is done by taking prebiotic and probiotic supplements (containing the benefical bifidobacteria and lactobacillus species). 4. Repair- the necessary ingredients have to be reintroduced for the gut to repair itself which includes supplements like zinc, omega 3 fatty acid and vitamins. There are tests available for determining the gut health. I am not sure about the availability of these tests in India yet though there is a clinic in Kochi called Heal Wellness which claims to be the first IFM certified clinic in India. (I am also not aware of any further details other than that what they have provided on their website). A few of these tests include intestinal permeability test through urine samples; nutritional evaluation tests which can determine nutritional deficiencies and hence help in supplementation and comprehensive stool tests to determine the microbiome health in the gut. There are Functional Medicine practitioners who are health professionals trained and certified by the Institute of Functional Medicine (IFM) who can help in determining which tests need to be carried out and the subsequent course of action. The Institute of Functional Medicine is the main body for Functional Medicine and is based in Santa Fe, USA. It was cofounded by Dr Jeffrey Bland who is considered to be the father of Functional Medicine. He has also written several books on this subject and if you want to know more about chronic illnesses and why they happen; the role of Functional Medicine etc you can read his book ” The Disease Delusion“. Our health is determined by a myriad factors but the basic ones are our diet; lifestyle; exercise and movement levels; stress related factors; our environment; personal relationships and our relationships within the community. Also, my experience of dealing with my daughter’s severe eczema over the past few years has taught me that we need to take some responsibility for our own health instead of leaving it completely to our doctors. 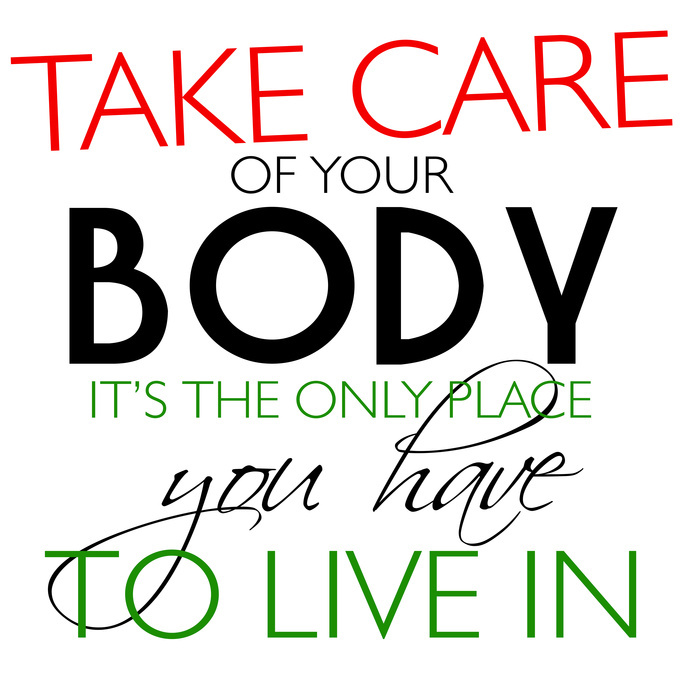 We also need to take care of our health not just when we fall ill but much much before. That means taking care of our bodies and treating it as a friend rather than an adversary that needs to be either tamed (through various fad diets) and/or ignored (either intentionally or unintentionally) till such time an illness crops up. (Of course one can always fall ill even after taking adequate care but then like much else in life there are no guarantees here only possibilities) I would rather try to explore all the possibilities that life has to offer rather than have regrets due to a lack of effort, wouldn’t you? The good news is that today we have access to information, knowledge and the experiences shared by other people on their own journey from sickness to health that we can all learn from. We can thus work along with our health professionals and use their expertise and knowledge to improve and maintain our own health. An example of a person coming to this realisation the hard way and which proved to be a major turning point in his life is the top tennis player in the world, Novak Djokovic. You can read about his story in the book “Serve to Win”. One should however keep in mind that each of us is unique and what works for one person will not necessarily work for another. You will have to patiently find out what works for you and your loved ones. I started writing this post planning to simply introduce the Functional Medicine approach to dealing with chronic illnesses like eczema, diabetes, migraines etc based on my understanding. But I realised that I also needed to include a detailed background given the increasing incidence of these illnesses in our lifetime. I hope I have been able to share a bit of what I have understood about this issue that you may or may not have been aware of. I started on this quest because of and for my daughter who suffers from severe eczema and which is being managed through strong immunosuppressive medications. My family and I have reached this stage through a lot of trial and error but always with the guidance of our doctors who have been with us every step of the way. We have already seen some results with the changes we have made in our daughter’s diet but we still have some way to go. We will be starting treatment based on Functional Medicine principles soon for her with the help of an IFM certified practitioner. We are taking an informed decision based on studies backed by science and evidence and which has helped so many others like her to cope with various chronic illnesses. Even if we can simply heal her gut to begin with will itself be a minor victory. I share all this with you so that it may encourage you to find out a bit more for yourself if you need to. We often do not realise how much more can be done to improve the quality of our lives if we really wish to. As one wise person put it very simply, we have only one life and one body. Our health depends on what we do with it. Our family’s journey began some years ago when our daughter was diagnosed with eczema (Atopic Dermatitis). Since then we have come a long way. It has motivated me to work towards increasing awareness about this condition in our country where it is very low. This will not only help my daughter but also countless others sufffering from this condition who have to deal not only with Atopic Dermatitis but also with a society which is not sensitised to this condition and hence increases the level of suffering and pain in myriad ways. In this regard, the first “Walk for Eczema” in Mumbai was organised by the Eczema Support Group for Parents and my daughter’s dermatologist Dr Manish Shah (under the aegis of IADVL SIG Pediatric Dermatology ) on the 17th of May, Sunday at Bandra West. It was attended by our family, friends and other supporters as well as some prominent dermatologists from South Mumbai. We were able to reach out to many who were attending the Equal Streets Moevement in Bandra and pamphlets about eczema were handed out to them in three different languages. The success of this walk is measured not only in terms of the number of people we were able to reach out to directly but also in terms of bringing together for the first time parents, patients and dermatologists who walked hand in hand for this common cause. This event has thus helped to pave the way for such future events which will go a long way in increasing awareness in our country.